Are you happy with your progress in triathlon? Racing at your top potential? Coach Jim Brown of Poseidon Triathlon can help you achieve your goals. Coach Jim utilizes a scientific approach in designing low volume, high return training programs that will make you a faster triathlete, reduce your injury risks, and allow more time for other activities in your life. Last year coach Jim qualified for the World Championships in Kona, Hawaii with an average training volume of just over 11 hours a week! 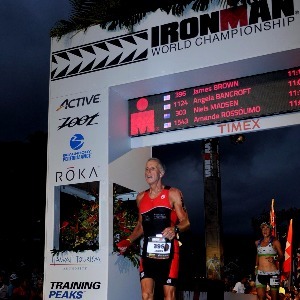 Coach Jim Brown is an Ironman age group Champion (Louisville, 2015) and will compete in the 2016 Ironman World Championships in Kailua-Kona, Hawaii. Jim is also a USA Triathlon and American Swimming Coaches Association certified coach with more than 15 years coaching and racing experience. He coaches beginners through elite level athletes and enjoys working with all ability levels. "Train Smarter, Race Faster" is the cornerstone of his coaching philosophy. Jim meets regularly with all of his athletes for one-on-one and small group training sessions to ensure efficient form, power, and race execution skills. Jim specializes in designing low volume, high performance training programs to enhance race day performance. A desire to improve and gain a fuller understanding of the sport of triathlon. Success. Coach Jim Brown has been notified of your message.